Baked with Love: Anyone with a love for mangoes would love this mango drenched Cheesecake with, mango cubes in the center, topped with fresh chantilly cream and more mangoes on a bed of mango puree. 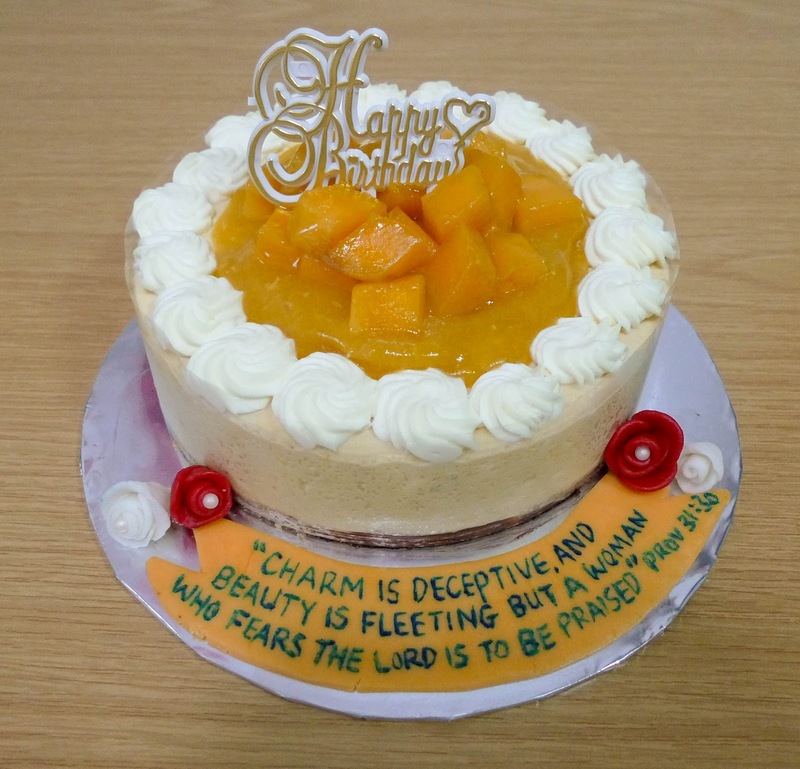 It's a very nice-looking and sumptuous mango cheesecake!The message is so touching and inspiring too. Just make sure you remind the kids to brush their teeth well after eating because they might end up visiting the dentist LA because of toothaches or cavities.